A set of draft recommendations for controlling price escalation in the Medicare Part B program has ignited fresh concern from the oncology community, which battled last year to overcome the Medicare Part B Drug Payment Model cost reduction experiment. Part B covers injectable and infusion drugs. The proposed changes from the Medicare Payment Advisory Commission (MedPAC) are designed to achieve savings by incentivizing physicians to opt for negotiated price reductions on the drugs they prescribe. However, some in the oncology community are fearful their revenues will shrink even further than they have in recent years as a result of federal budget cuts and the 340B Drug Discount Program. 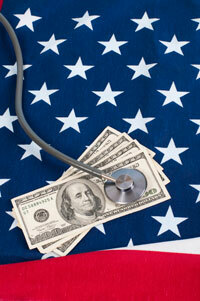 The MedPAC late last week decided to recommend that Congress adopt the payment policy revisions. The draft modifications would move physicians away from the current, predominant system of payment, under which physicians are paid the average sales price (ASP) of drugs plus a 6% markup to cover administration and other expenses. Instead, physicians would purchase drugs from a formulary whose prices have been negotiated by third-party vendors. Medicare does not have the authority to negotiate drug prices itself, and this system would skirt that obstacle, which has been blamed for Medicare’s current difficulty in bringing down the cost of medicine. The MedPAC recommendations follow last year’s ill-fated effort by CMS to achieve savings on drug purchases via the Drug Payment Model, which was the target of intense criticism for containing provisions that would subject providers across the country to an involuntary experiment in drug payment reform. Partly an effort to remove payment bias from drug prescribing decisions, the Drug Payment Model would have involved an adjustment to the ASP formula. MedPAC is an official federal advisory agent without policy making power. The group has proposed what it calls a program of voluntary participation that would rely on middlemen to negotiate price discounts from manufacturers. Participating physicians to purchase drugs based on the lower, negotiated prices. This could potentially result in large savings for Medicare, as the ASP system is not based on negotiated prices. Some additional payments would accrue to physicians to compensate for their expenses and these payments could potentially include a share in the savings realized by CMS. Also, patients would have lower cost-sharing obligations under the plan. Although MedPAC’s Drug Value Program (DVP), as it is called, would be voluntary, providers who do not participate would be incentivized to participate via changes in the ASP payment formula that reduce the added percentage applied to cover provider expenses. The reduction in the ASP formula payment would be imposed immediately upon the start of the DVP or no later than 2022. There are other provisions to the suggested policy changes. All drug manufacturers would be required to submit ASP data to CMS and would be penalized for failure to report this information. In turn, Medicare payments under the DVP would not be allowed to exceed 100% of ASP. Manufacturers would be forced to pay Medicare a rebate if their ASP figures exceeded inflation benchmarks. In addition, Medicare would institute common billing codes for original biologic drugs and their biosimilar equivalents. The proposed revisions to Part B payment could well be enacted, said Jessica Turgon, MBA, of ECG Management Consultants, who spoke last month at the Association of Community Cancer Centers’ CANCERSCAPE (#CANCERSCAPE) conference in Washington, DC. However, Turgon said the single billing code idea could cause practices to start prescribing the cheapest possible medications, in order to maximize the spread between cost and payment. She said that could lead to trouble between doctors and patients, who could potentially have conflicting opinions of what drugs should be prescribed. An additional problem that could arise, she said, is that physicians who are not paying attention to costs could end up prescribing drugs that exceed the payment under a particular code, thereby resulting in a financial loss. Under the proposed changes, the wholesale acquisition cost (WAC) for drugs would be reduced to WAC plus 3%, as opposed to the current WAC plus 6% formula. The WAC formula is used to calculate payment in the case of single source drugs and initial biosimilar products for which sufficient data do not exist to calculate ASP. The problem with this is that manufacturer discounts on drug sales are not incorporated into WAC, and Medicare can end up with a much higher tab for medicines than it would under ASP. Various oncology groups besides COA, including ASCO and the American Society of Hematology, said they are paying close attention to the path taken by the MedPAC recommendations. COA has based its opposition to the DVP partly on past government policies that dramatically changed the oncology delivery and cost landscape, causing financial and competitive turmoil for independent practices. Prior to 2004, chemotherapy services were predominantly (84%) concentrated among independent oncology practices, COA said. That began to change following Part B drug payment modifications that included imposition of the ASP-plus-6% formula. The 340B program caused further disruption by giving qualifying hospital institutions a significant pricing advantage on drug purchases. Combined, these changes reduced the independent care center’s share of chemotherapy to 54% by 2014, COA said. “Given the well-documented impact that historical reductions in Part B reimbursements have had, it is inescapable that the MedPAC recommendations will accelerate the shift in the site of cancer care into the more expensive hospital setting,” COA said. Part B expenses for Medicare have been climbing over the years, putting intense pressure on CMS to bring down the cost of care. The Kaiser Family Foundation has predicted that per-beneficiary spending per year under Part B will exceed $8000 in 2025, up from over $5000 currently.